How has your week been? Have you managed to craft? We do hope you are enjoying the tutorials. 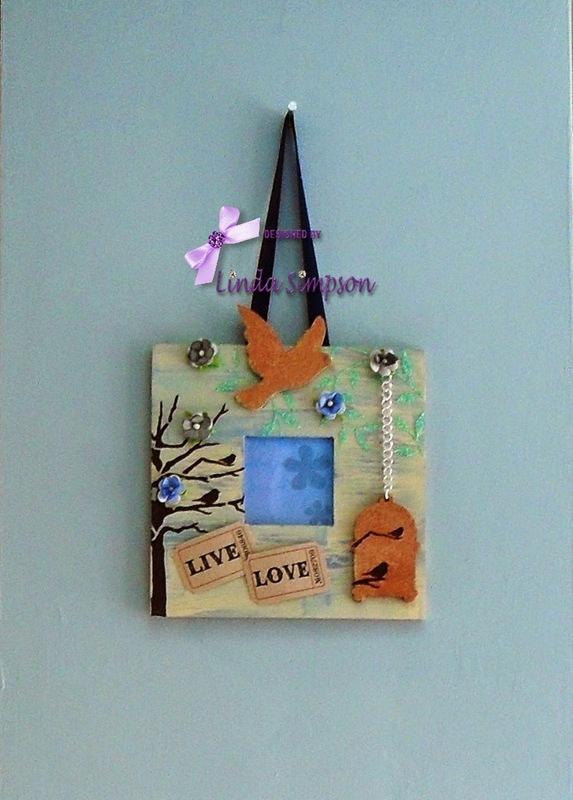 Today we have Christine sharing her tutorial. 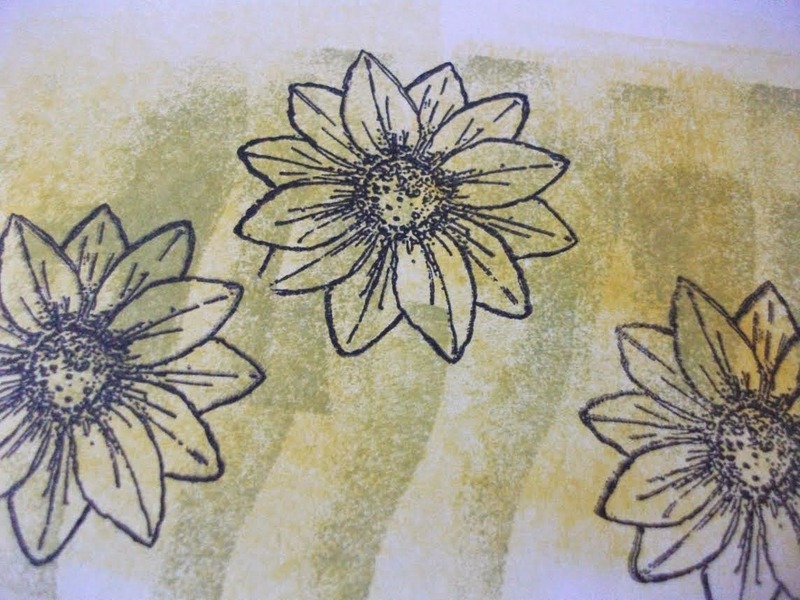 Stamp 1 large and 3 small Daisies from the Daisy Decoupage stamp onto inked cardstock using Black Versamark ink. 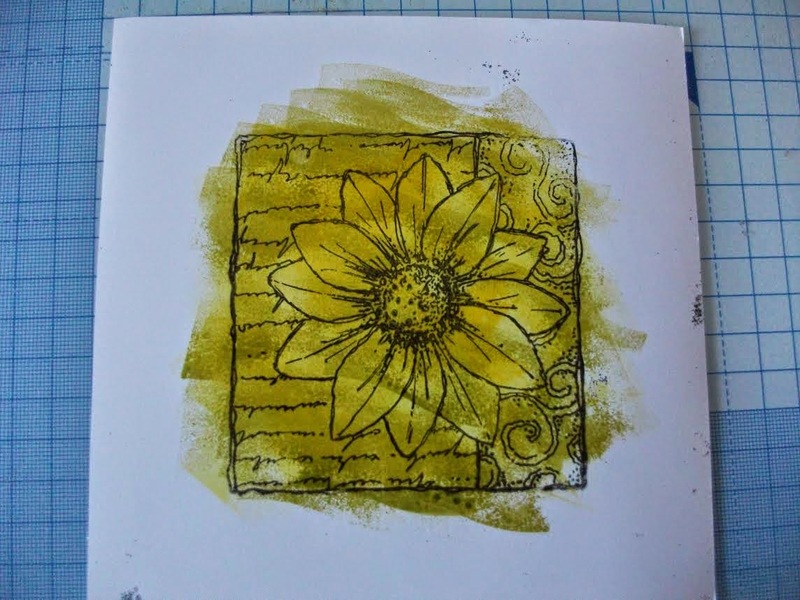 (I used yellow and green ink for the background) Paint watered down Silkies over the top to highlight the petals. 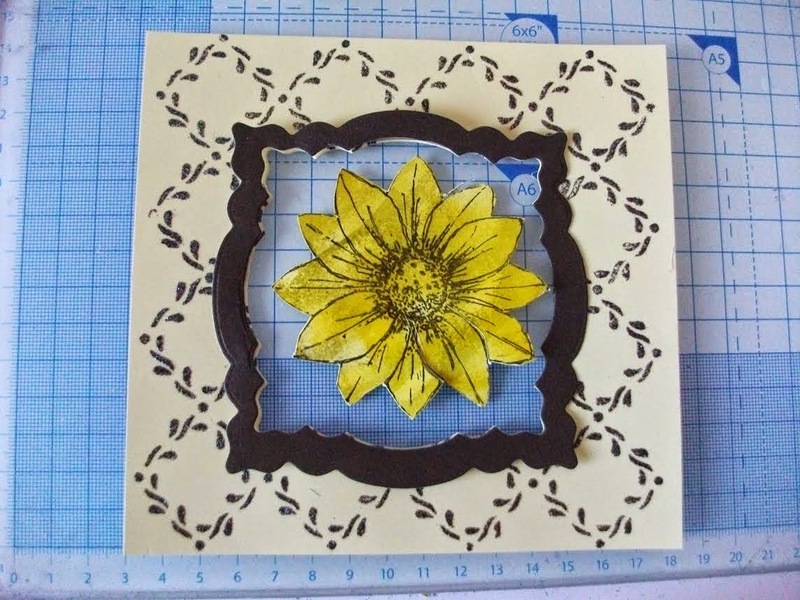 Die Cut an apeture into the yellow card and add a black frame. 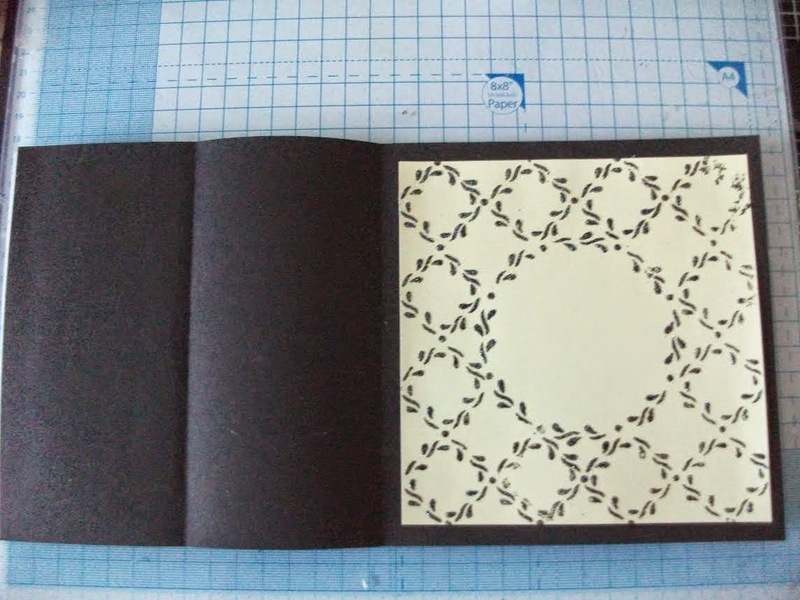 Stick this to a piece of black card and add the large daisy to the middle. 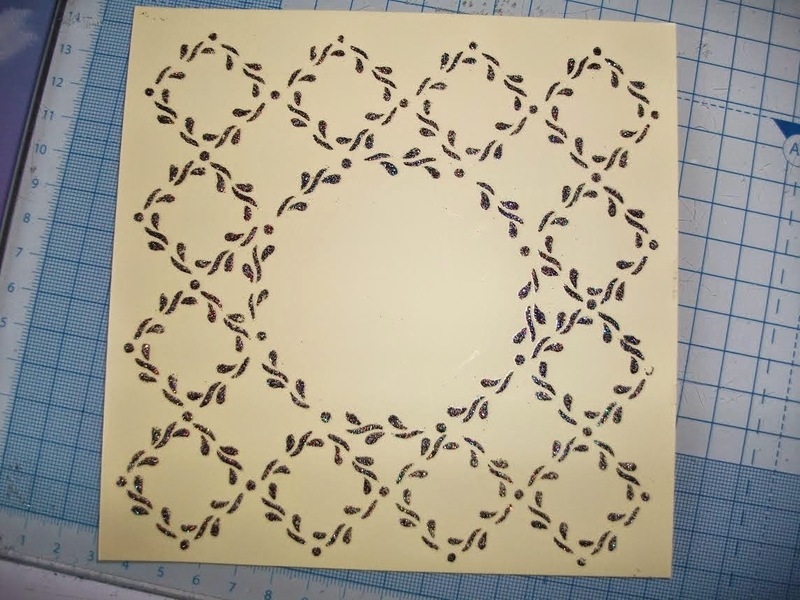 Stencil a second trellis image onto yellow card with Black Stars and add this to the right side of a black folded card. Fold over the left side to form the base of the Stepper Card. 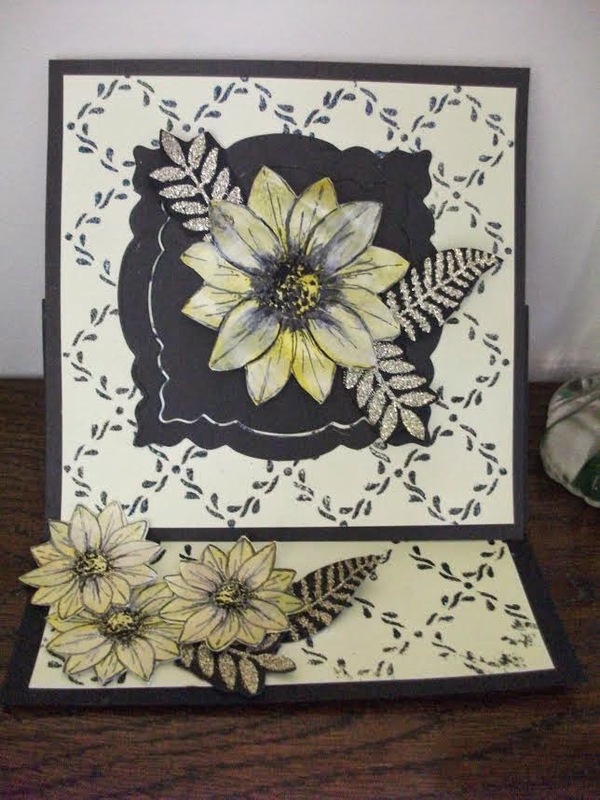 Die cut some leaves and use the stencil left behind to spread Gold Sparkle Medium through onto black cardstock. 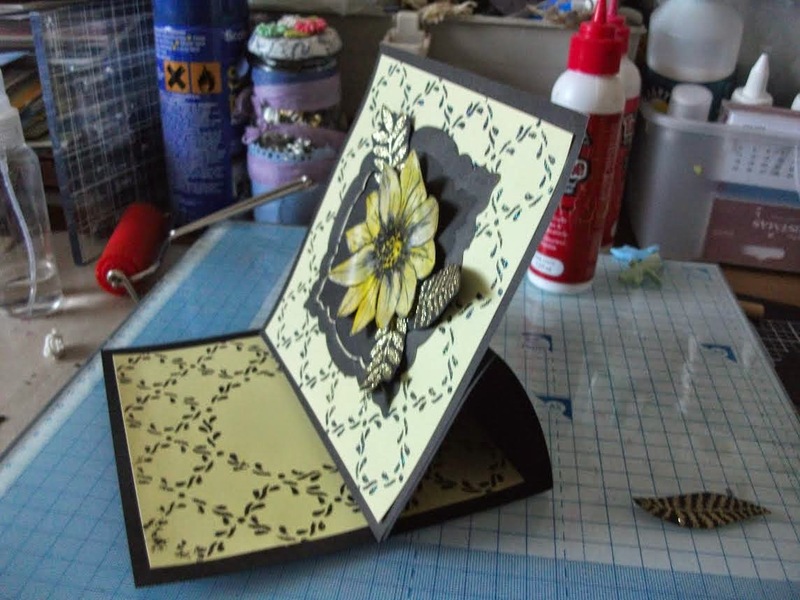 Cut out and add these and the small Daisies to the left side of your card to act as a stopper. I hope you find it helpful and please don't forget to share on our Facebook page if you have a go. Today it is my turn to share a tutorial with you! Add a layer of Crackle and then MDF Paint in Limestone, leave to dry. Paint the birdcage and bird with MDF Paint in Limestone, once dry stipple Silkies Bronze Brocade, add a touch of Sunshine Yellow to the beak and a dot of Royal Satin for the eye. 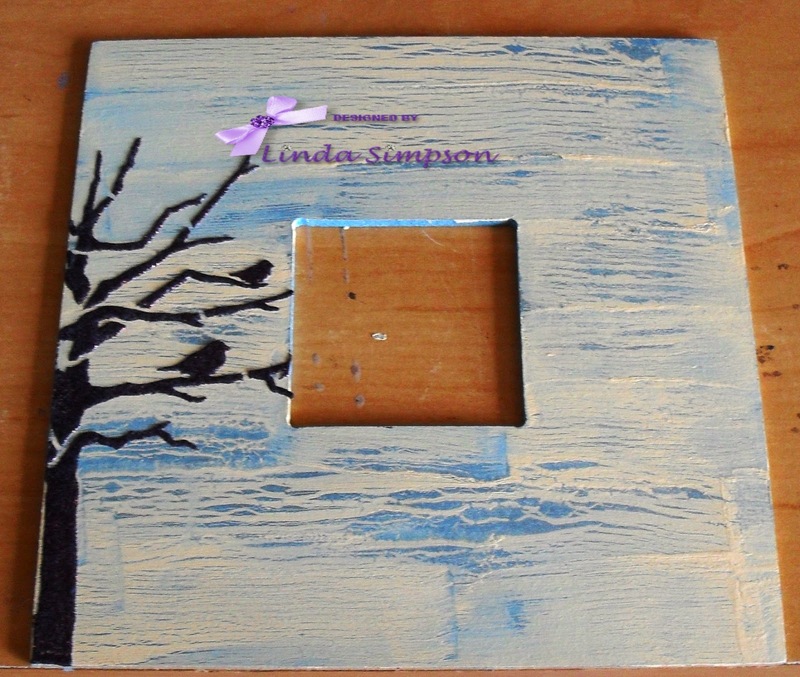 Using part of the Dawn Chorus Stencil and Sparkle Medium Antique Bronze stencil on left side of the frame. 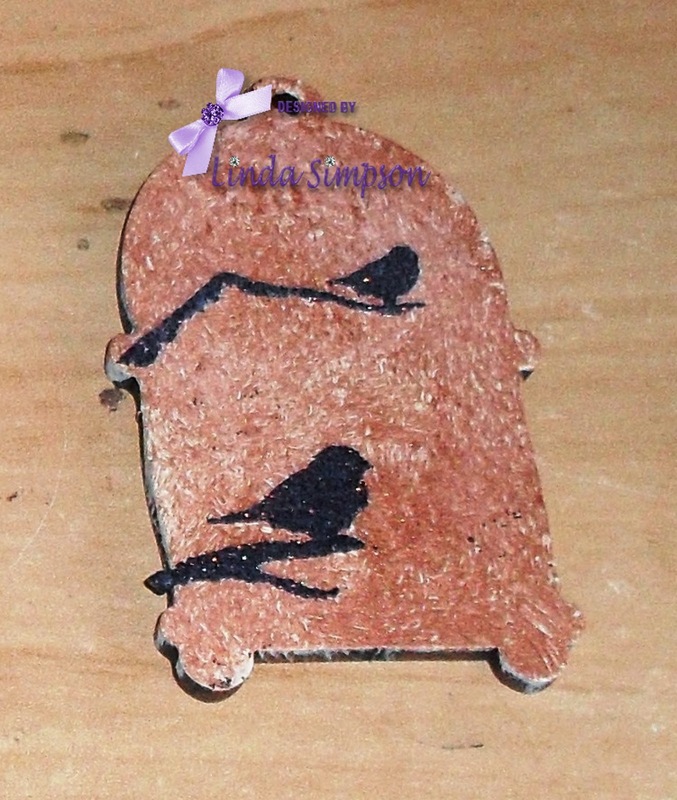 Again using part of the Dawn Chorus Stencil, stencil with Sparkle Medium Antique Bronze. With Pastel Green Sparkle Medium Stencil part of the Leafy Swirl Stencil. Add patterned paper in the recess and attached ribbon on the back. Adhere the second frame to the back which acts as a sandwich securing the ribbon. 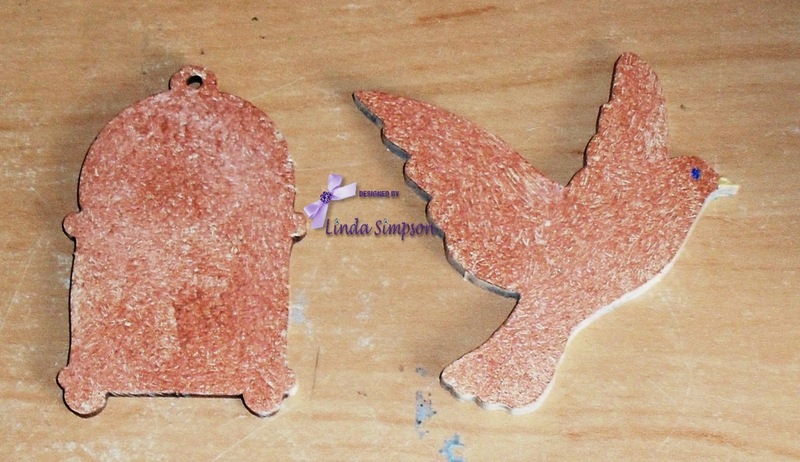 Add chain to the bird cage and adhere to the frame, attach the bird and small blossom on the tree and leaves. 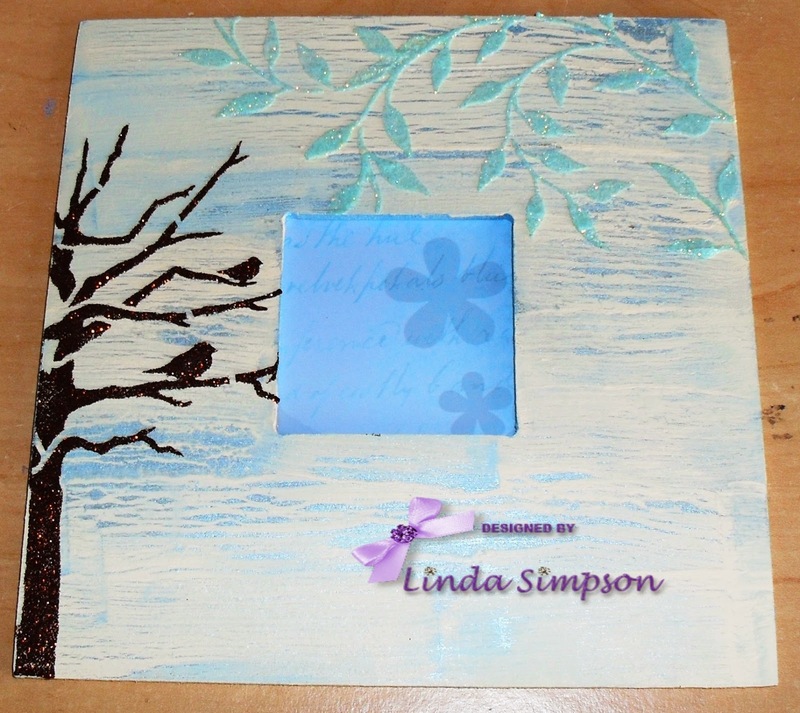 To finish off add Tim Holtz Adage Tickets. This now resides on the wall in my dining room. We will have another tutorial on Wednesday!